Nevertheless, with some simple lifestyle changes and easy-to-follow home remedies you can revitalize and rejuvenate your to make your skin look more youthful. In fact, these measures can easily help keep your skin young and beautiful for much longer than you expect. • Pour a few drops of honey on 1/2 of a lemon. Rub it gently on your face using upward strokes. Leave it on for 10 minutes and then rinse your face. Do this once or twice a week. • Alternatively, simply squeeze the juice from 1 lemon and apply it on the skin. Leave it on for about 15 minutes, then rinse it off with cool water. Use this remedy once daily. • Another option is to mix together 1 teaspoon each of lemon juice and egg white, along with ½ teaspoon of milk cream. Apply this paste on your face. Wait 15 minutes, then rinse it off with cold water. Repeat once or twice a week. • Mix together 2 teaspoons of grated cucumber and ½ cup of yogurt to make a face mask. Apply this on your face and neck. After 20 minutes, rinse it off with warm water. Use this face pack twice a week. • Alternatively, mix equal amounts of grated cucumber and watermelon pulp. 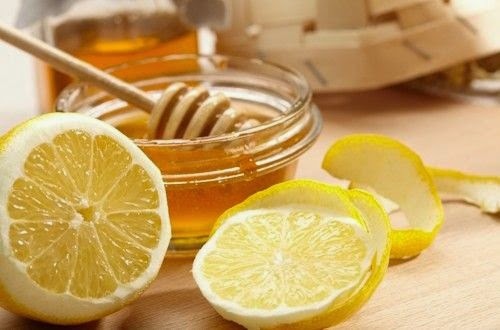 Add a few drops of lemon juice to it, then apply it on your face. Allow it to dry, then wash it off with lukewarm water. Use this face pack a few times a week. 1. Mix 2 tablespoons of mashed ripe papaya, 1 tablespoon of honey and ½ teaspoon of fresh lemon juice. 2. Apply this on your face. After 15 minutes, wash it off with warm water. 3. Finally, splash some cold water on your face. 4. Use this face mask once a week to enjoy beautiful skin. 1. Dry the peels from a few oranges under the sun for a few days. 2. Grind the peels into a fine powder. 3. Mix 1 teaspoon of orange peel powder, 2 teaspoons of gram flour and enough water to make a paste. 4.Apply the paste on your hands, neck and face. 5. Wait 15 minutes, then rinse it off with warm water. 6. Use this face mask once or twice a week. 1. Mix together 1 tablespoon of ground oatmeal, ½ teaspoon of honey and 1 teaspoon of water to make a paste. 2. Gently rub it onto your skin in circular motions. 3. Allow it to sit for 10 minutes, then rinse it off. 4. Use it once a week to exfoliate your skin. • Always remove your makeup and wash your face properly before going to bed. • You can use plain rose water to remove makeup and to cleanse your face. • Apply a moisturizing lotion after washing your skin to avoid dryness. • Quit smoking and excessive alcohol consumption as it causes skin dryness and accelerates skin aging. • Do physical exercises daily to eliminate toxins from the body and promote good blood circulation. • Exfoliate your skin once a week. • Apply a sunscreen every day to protect your skin from the sun’s harmful UV rays. • Drink an ample amount of water throughout the day to maintain healthy skin and eliminate toxins. • If using makeup, choose quality products and avoid using any that have expired. • Reduce stress as it contributes to dull-looking skin. It also causes skin problems like acne, pimples, psoriasis, eczema and rosacea. • Get at least 6 hours of sound sleep daily. A 10-minute power nap during the day will also help you enjoy refreshed skin. 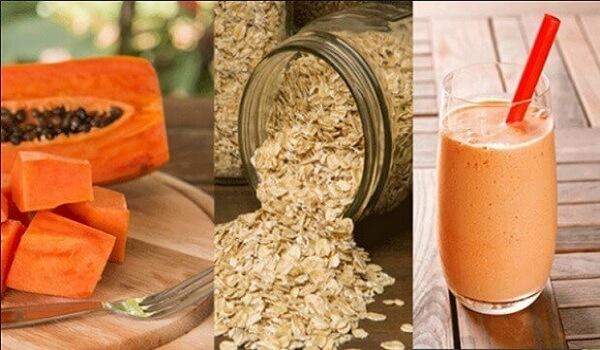 • Nourish your skin from within by eating a healthy diet. Eat vegetables, fruits, fish oils and nuts like almonds and walnuts to keep your skin young and healthy.